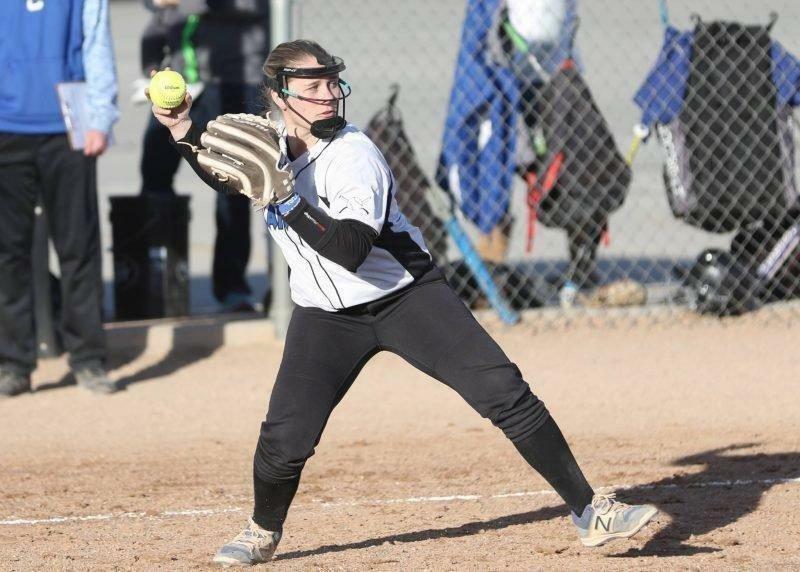 The Carbon Lady Dinos, after scoring just two runs in the first two innings, blasted the South Sevier Rams in Monroe on Tuesday afternoon, 27-9. Four players had at least four hits in the game, led by a herculean effort by Cali Fossat. Fossat bashed three homers in the game and a game-high eight RBIs. She went 5-5 in the game with four runs scored. Right behind Fossat was freshman Lyndsey Madrigal with another 5-5 showing at the plate, with two home runs and two doubles en route to seven RBIs. Makenna Pendergrass added five more hits with two doubles and three singles. Carbon scored six runs in the third, five in the fourth, four more in the fifth and then 10 runs in the sixth to round out the scoring. Kaytlyn Cripps started in the circle, giving up nine runs, just two earned, in 2 2/3 innings. Freshman Brooke Moosman relieved Cripps for the final 3 1/3 innings, allowing just three hits. Carbon (7-3, 2-1 Region 14) will host Delta on Thursday at 3:30 p.m. The gam will be broadcast live on ETV Channel 10 and www.etv10news.com/livesports.